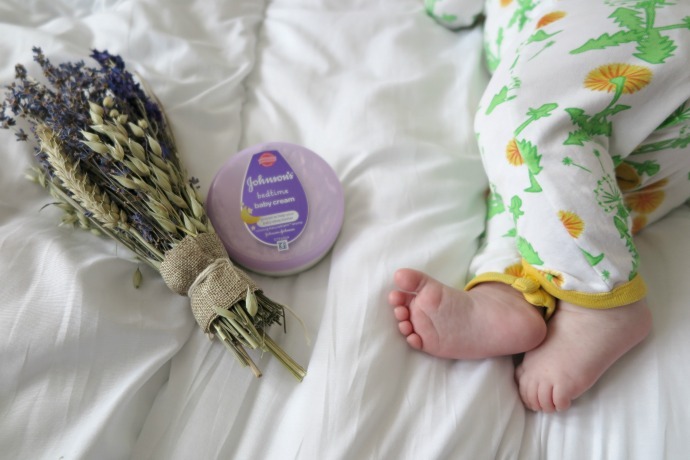 It has been just over a week since I started trying the Johnson’s 3 step bedtime routine and I have been really enjoying the bonding experience. Cora loves the bath and it is wonderful watching her splashing around and squealing in delight. All the techniques I learned in the baby massage classes that I did with Dylan have come flooding back and we have both been enjoying that quiet time to wind down together before bed. With last week being half term for us, I have struggled some nights to stick to the routine. There were two nights where I just couldn’t fit it in, one because I was doing solo bedtime for all four children and the other was Archie’s birthday and we had family round until late so Cora was too tired for anything other than milk before bed. I think that going forward there will always be some nights like this due to the craziness of having a bigger family and the freedoms we like to have. What I did notice was that bedtime, when we did follow the routine, was so much easier. Cora was never that difficult to get to sleep before, but the night’s that we followed the routine she was into a deep sleep very quickly. She has been so sound asleep that I have almost been tempted to try her in her own crib - but I haven’t quite braved it yet. We have been using the Johnson’s Bedtime App to keep track of how we are doing and I completed the sleep analysis tool at the beginning of the week and at the end of it. 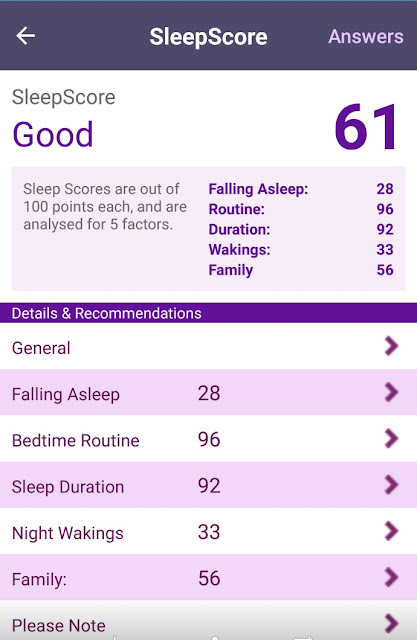 Whilst the improvement may look minor so far, any sleep deprived parent can tell you that any improvement is pretty major, and I’m sure we’ll get there! I love the feature on the app that allows you to create your own lullabies and soothing sounds. 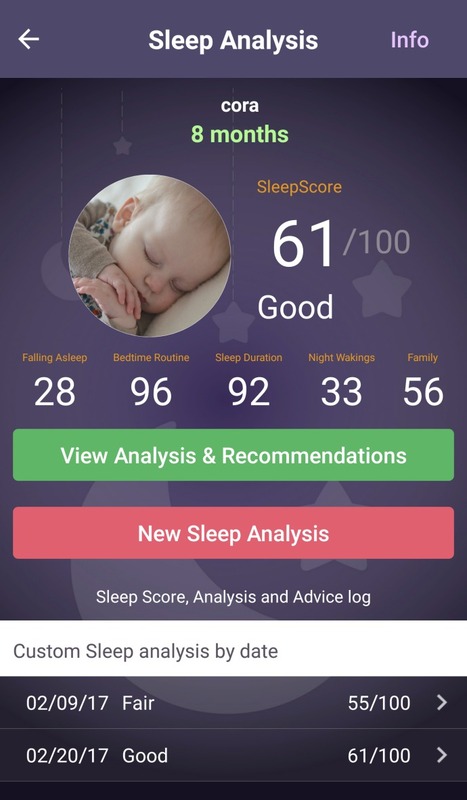 I remember finding YouTube videos of people hoovering in an attempt to get the boys to stay asleep as babies but this app has a variety of sounds (including a hoover) that you can layer together to find a combination that works for you. I have been using the Lullabies with Finn as he enjoys falling asleep to music and ‘Lullaby and Goodnight’ is his favourite. 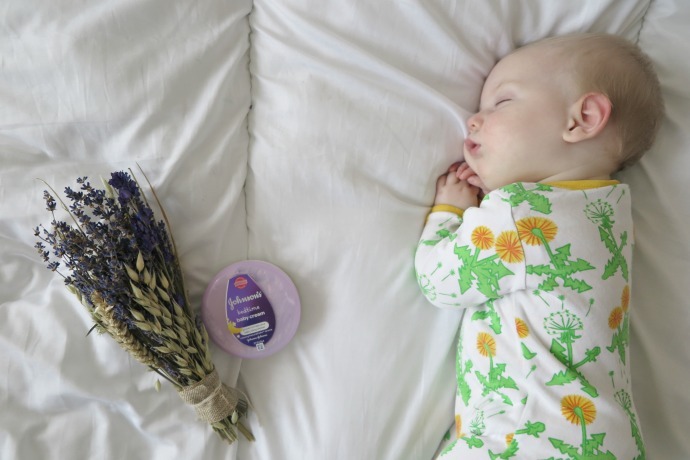 Whilst following the three step routine hasn’t been a miracle cure for my growing eye bags, it has made bedtime more relaxing and enjoyable and I know that Cora will eventually start sleeping for longer periods at night time. Cora loves her baths, is chilled out for her massage and falls into a deep sleep very quickly as she drinks her milk. The app is a great companion and I know it will come in very useful when we are away from home and Finn still wants the comfort of a lullaby.